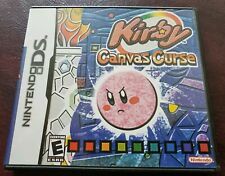 Kirby: Squeak Squad (Nintendo DS, 2006), Used, No Manual. Condition is Very Good. Shipped with USPS First Class Package. Doesn’t have the instruction manual but everything else is included. Been played once or twice. Confirmed to work on a gold Nintendo DS Lite. Case shows normal wear. Let me know if you have other questions. 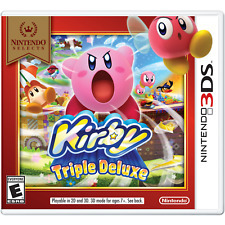 Kirby: Triple Deluxe (Nintendo 3DS) Works Like New - Money Back Guarantee!! Fast and Free Shipping Enjoy!! Kirby Star Allies (Nintendo Switch, 2018). Condition is Brand New. Shipped with USPS First Class Package. If you have a US system then yes it should. Condition: used ingreat condition. You may not receive the exact item pictured but you will receive one in similar condition. Face the opponent within in Kirby: Battle Royale for the Nintendo 3DS. Kirby: Battle Royale provides a single-player story mode for you to explore to add to the fun. Kirby: Battle Royale. Plunge yourself in toughest battle, until the last Kirby standing wins. Kirby Air Ride (Nintendo GameCube, 2003). Condition is Good. Shipped with USPS First Class Package. Play on any Nintendo NDS, NDS Lite, NDSI ,NDSLL, NDSXL and 3DS. (US Version). SALE ITEM: Nintendo Wii Kirby's Epic Yarn Case, Cover Art and Manual Lot, as Pictured (no disc included). CONDITION: Good Condition with Minor Wear. Case, Cover Art and Manual are Authentic OEM. Up for sale is Kirby Super Star for the Super Nintendo (SNES)! So Take a Good Look at the pic. You are bidding on the case and manual for the classic KIRBY MASS ATTACK. Everything is in great shape! Again, CASE and MANUAL ONLY, NO GAME.Check out my other items. Thanks! 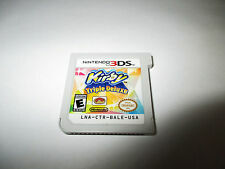 Kirby Mass Attack (Nintendo DS, 2011) Awsome Condition!! Works Like New - Money Back Guarantee!! Fast and Free Shipping Enjoy!! Trending at $18.00eBay determines this price through a machine learned model of the product's sale prices within the last 90 days.